Zoom Search Engine is a software package that allows you to create a powerful custom search engine for your website. It is unlike other search solutions in that it gives you full control over its indexing capabilities, and there are no advertising or annual fees, while being one of the easiest to use and most feature packed solutions on the market. More on the advantages of using Zoom here. Zoom has two main parts. The Indexer software, which runs on your desktop computer (or virtual instance in this tutorial), scans your website and generates a set of "index files". These files are then uploaded to your website and provide the searching functionality. You will also be using the Indexer to update your search engine when you make changes to your website in the future. 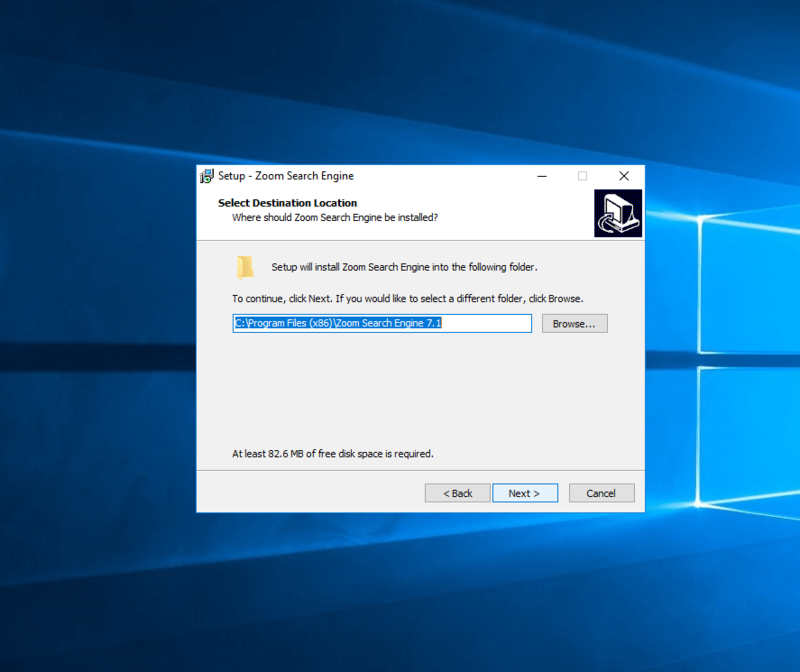 The following article explains how to install Zoom Search Engine for Windows for your website on Microsoft Azure Cloud. 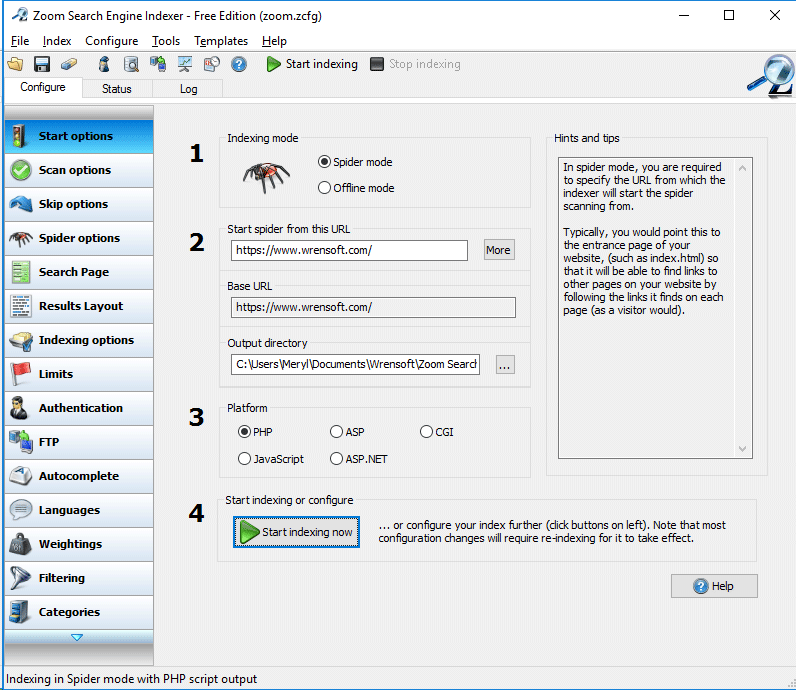 We provide this tutorial to explain some common steps to get a working Zoom Search Engine up and running, and integrated with your web site as quickly as possible. A Microsoft Azure instance is a virtual web server that can be rented from Microsoft. Prices are priced per hour and exact cost will vary depending on the power of the instance you use. From the Virtual Machines tab, click add, and select a Windows version of which to create an instance of. For this tutorial, we will use an instance of Windows Server 2016 DataCenter. Configure the Virtual Machine as needed to suit your site. In this example, we will be using the default settings. In the firewall settings, make sure to allow the RDP service for remote desktop access. This should be already configured by default. Once the virtual machine has been configured and deployed, click the "Connect" button in the Overview tab to launch the virtual machine via remote desktop. Once you have the virtual machine running in remote desktop, download the Windows installation package from the official download location and simply run the installation package and follow the setup instructions. 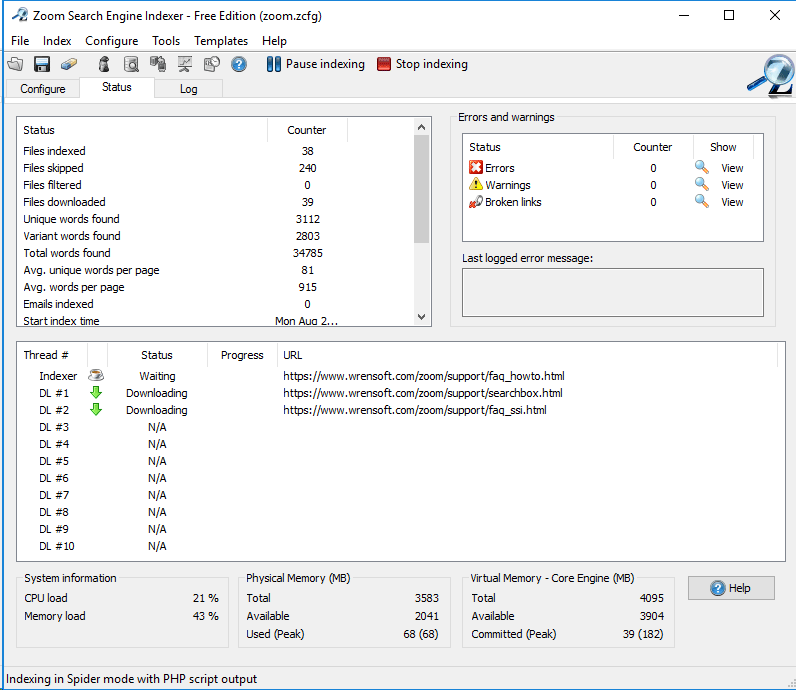 Your installation of Zoom Search Engine should now be installed on your virtual web server. You can proceed to Configure the Indexer and start your index. We recommend referring to the Users Guide for most instructions. There are many options and configurations possible with Zoom which you can fine-tune to your heart's content, including highlighting, categories, and more. Please download a copy of the Users Guide for more information. Now it's time to upload your files to the appropriate location. You'll have a couple of options on how you to proceed. The choice will depend on how you want to be able to access your search. If your website is hosted elsewhere and you want your search files to be located on the same host. You can transfer the output directory to your host. For cost savings, you can then Stop your instance and restart it when you need to reindex your site. 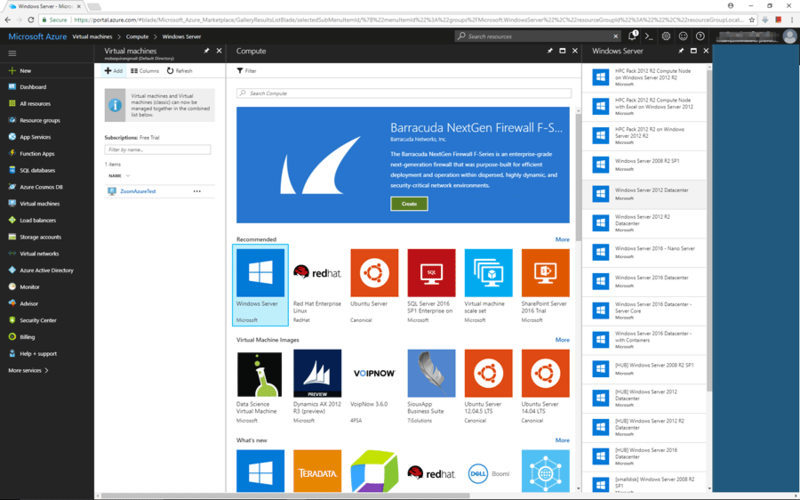 If you are already using a dedicated Azure Windows host to run your website and have an access to the command line. You can set up Zoom Search Engine directly on your server. Your output directory then can be a location on your website. If you do have your Zoom Indexer located on your web server, you should take proper precaution to secure it from being accessed by anyone on the internet (i.e. behind authentication or via .htaccess). 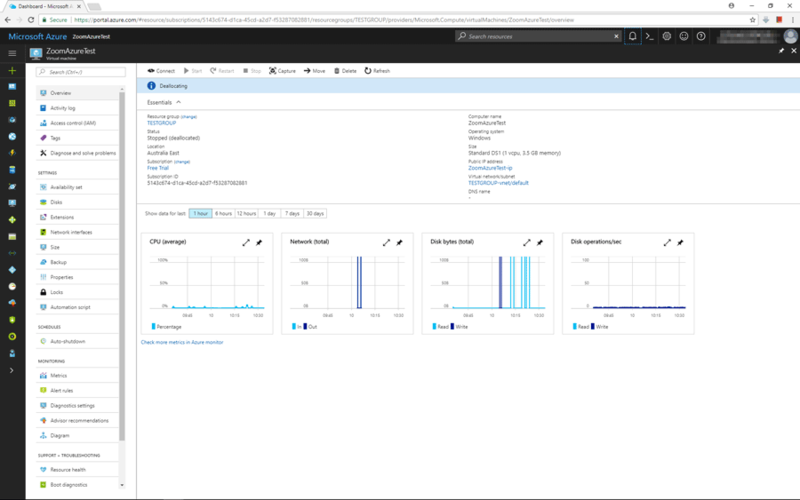 While this tutorial is geared towards Azure Cloud Services, Zoom can also be installed on virtual machine instances run by other services such as Amazon Elastic Cloud 2 (EC2). If you wish to use Zoom Indexer in a Linux environment, you can also set up and install Zoom Search for Linux in an Azure Cloud (or other cloud service) instance running Linux. We have also written a guide on how to install Zoom for Linux on Amazon EC2.